Directed by Kenneth Branagh, Thor picks up where Fast Five left off and continues to set the bar for summer blockbusters. The movie was actually better than I thought it would be, and credit must be given to Chris Hemsworth for shifting his weight from Captain Kirk in Star Trek to the body of a God in Thor. 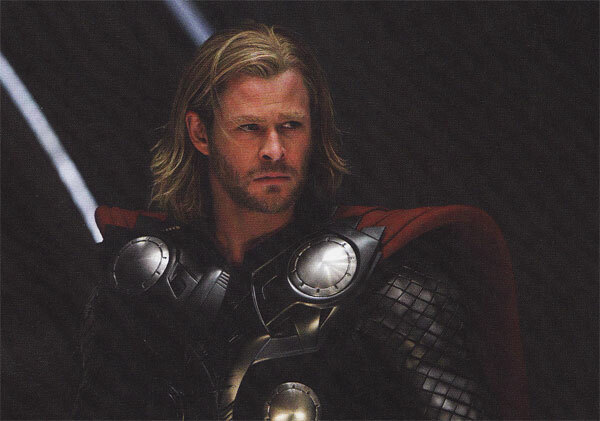 He did an amazing job bringing Thor’s arrogant and irrational character to life. Academy Award winner Natalie Portman was also well utilized throughout the film as Jane Foster, although judging by the final scenes in Thor, her appearance in the upcoming Avengers film seems unlikely. Visually the film was beautifully detailed and the action was incredible, especially with the hammer that Thor used to fight the Frost Giants, who resembled something out of Lord of the Rings. Tom Hiddleson, who portrayed Loki in the film, did an alright job in the film despite his character’s underutilized powers and questionable attitude. Kat Dennings, Anthony Hopkins, Idris Elba and Clark Gregg rounded out the supporting cast of characters, who all did a great job of balancing out the film’s transition from Thor’s world to Earth. This was the first 3D film I’ve seen in theaters and to be honest it wasn’t worth the entry fee or the hype. As the movie progressed, the 3D became a distraction and the alleged eye-popping visuals werent eye-popping at all; a word to the wise — save your money and see this in 2D. Overall Thor is another bona fide hit and thanks to a special cameo, it perfectly sets up the story for next summer’s box office blockbuster, The Avengers. Jah Kindred is graduating senior from West High School in St. Louis, Missouri. His hobbies include music production, writing, poetry and singing. He will join The Real Reel this summer as a contributing writer and reviewer. I had a real good time with this and I wasn’t expecting to but this really kept my interest. Mostly because the tone was so light and very simple. Can’t get any better than that. Good Review!